Our Services | Entity Consulting Inc.
Business Transformation is about making fundamental changes in how business is conducted in order to adapt to a shift in the business environment. Business Transformation is most critical when there are disruptive external forces such as significant technology changes, regulatory changes (new safety, environmental, and approval requirements), and Customer Expectations (who your customers are and what they believe in). Evaluating your need for Business Transformation will ensure that key factors for your future business success are understood in time to make the longer-term structural and cultural changes in your organization. Don’t let the business environment tell you it is time for a change via a crisis. Strategic planning is a disciplined process that an organization uses to set a direction in a changing environment and make decisions on how to allocate its resources to achieve the intended business outcomes. When there is uncertainty on the horizon, it will redefine answers to the fundamental questions on what an organization is, whom it serves, what it does, and why it does it. It also allows an organization to strengthen its operations by ensuring that employees and other stakeholders are focusing their energy on what will make it successful. The consequences of not renewing your strategic plan and continuing down the wrong path can be severe. Your organization’s drive to meet its obligations and outperform the competition without a roadmap to overcome the complex new hurdles in your business environment will not happen on auto-pilot. Focusing on the day to day will not make your longer term business risks go away or allow you to capture the future wave of opportunities. Entity Consulting Inc. can guide your organization through a disciplined strategic planning process using a set of simple, structured, and practical processes and tools. The process will be tailored to your specific needs. At the end of this process, your organization will have a clear understanding of its new direction for future success, and how to realign resources. The network alliance of professionals at Entity Consulting Inc. are familiar with many of these pitfalls and have methodologies to recognize and overcome the common factors that have led to other organization’s BPR failures. Some of the keys to success are strong leadership, communication, and common motivational drivers up and down the organization to achieve the desired business outcomes. Having seen these keys to success, we can help your organization overcome these types of challenges and achieve transformational improvements in your operations. An organization that understands what competitors in their industry or different industries are doing to improve on their competitive practices and functions, can better assess and prioritize improvement opportunities. The network alliance of professionals at Entity Consulting Inc., have deep experience in best practice implementations that can reduce your operating costs, improve quality and services, and safety results. A few examples of best practice areas in the utility industry are listed below. 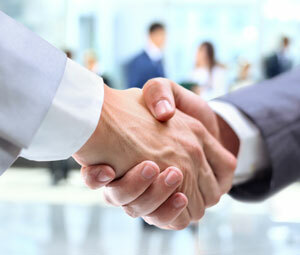 A Strategic Alliance is an agreement between two companies to share resources in undertaking a mutually beneficial project or service. In this business model, executives from each company agree to mutual scorecard metrics, to ensure that each party in the alliance is delivering on their end of a bargain that will save on costs and improve quality of work for all parties. Forming Strategic Alliances with a few services contractors is a best practice alternative to a traditional model of contracting services that has an approved list of contractors and awarding each project to the lowest bidder. A Strategic Alliance business model not only provides your organization with the greatest volume discounted costs, but also allows you to align and execute your company goals (services, quality, safety) through your contractor. It can also provide a mechanism to identify win-win initiatives that reduce inefficiencies in both organizations, thus allowing overheads and contractor costs to continually decrease. Moving your organization away from a rigid functional business model, whose employees and departments are based on common job functions (e.g. sales, customer service, construction) can also unlock significant benefits. The major disadvantage of a traditional functional business model is that there is conflict and inefficiencies across different department that may be overly focused on their department versus organizational success. In a matrix business model, there is dual reporting of employees to both the Functional Organization and Process Organization. Employees would typically report to their functional organization, but also belong to and understand the core end-to-end business process that delivers on the overall success of the organizations. The advantage of this model is that there is a more balanced decision making to optimize both the specialized functional departments and end-to-end processes. While this business model may seem to have more complexity, it eliminates organizational inefficiencies when implemented in a simple and practical fashion. There are additional models for an organization, and spectrums in between, including geographic models, centralized/decentralized models, or Asset Management centric models. Entity Consulting Inc. can help you to decide which of these organizational models will help you succeed in implementing your strategic plan. Getting the few key strategic decisions right can mean the difference between your organization thriving versus declining. We can facilitate the strategic planning process. Business Process Re-Engineering can be an effective and sometimes necessary means to implement and operationalize your strategic plan. Using one of the best practice utility business models allows an organization to capitalize on the benefits identified through its strategic plan. Entity Consulting Inc. offers years of industry expertise in key management disciplines for the Energy and Utilities industries. In the ISO 55000 Standard, Asset Management is defined as the “coordinated activity of an organization to realize value from assets”. It involves the development of an asset centric management systems framework that leads to lowering your operating and capital expenditures at the desired service level quality and acceptable risks. It involves understanding the short term needs of your assets and devising a long term Asset Plan that optimizes your investment decisions. Asset Management analytical methodologies provides significant value to asset intensive organizations such as gas, electric, water utilities with limited budgets and resources. Asset Management tools are used by organizations to make better decisions about how to allocate their day-to-day resources, and justify business cases to decision makers for their operation, maintenance, and capital spending. The network alliance of professionals at Entity Consulting Inc., have practical experience in implementing core elements of an Asset Management System including an Asset Health Review, Business Value Assessments, optimized annual budgets and long term Asset Plans. Asset Management allows you to unlock the true business value of your assets. The expectations from the public, Regulators, and the Industry codes are ever increasing. The bars associated with safety and the environment and the expectations on management are especially growing. In addition, the scrutiny that organizations face as they undergo an audit or in response to an industry incident can be very disruptive. That is why reviewing your management practices around codes and regulations, understanding your risks and gaps, and developing a formal and practical response to meet these challenges is important. At Entity Consulting Inc., we have experienced professionals in codes and regulations including the CSA Z662 Oil and Gas Pipeline code and Management Systems. They have insights that provide industry direction into new management system requirements. The regulatory hurdles are ever increasing. Process Safety is a management discipline and organizational safety culture that is focused on preventing catastrophic events, such as fires, explosions, and pollution, which are caused by the unexpected release of dangerous products including chemicals, oil, and gas. Process Safety is not the same as Occupational Health and Safety that is focused on preventing accidents such as personal worker injuries including slips, trips, and falls. Process Safety also takes into account the safety of the public, customers, and co-workers that may be affected by a catastrophic incident. Process Safety is a proven method to identify and reduce the hidden risks of a catastrophic incident in your organization. It protects the corporate reputation and ability of organizations to engage the public and regulators. Don’t be like other safety critical organizations that learn the criticality of an effective Process Safety program after it is too late. Entity Consulting Inc. will help your organization understand why only relying on a strong worker safety record, does not prevent the risk of major losses. Entity Consulting Inc. will guide you through adopting the necessary leadership, safety culture, and tools that will provide you with the processes and controls that prevent major incidents. Process Safety can be seemingly complex and difficult to adopt. This is especially true when an organization tries to adopt Process Safety thinking and tools when they are not familiar with it. Let Entity Consulting Inc. help translate Process Safety and successfully adapt it to the needs of your organization. Are you good or are you lucky when it comes to Process Safety? 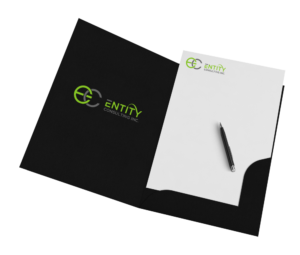 Find out more about Entity Consulting. Entity Consulting Inc. conducts Management Reviews to evaluate whether an organization’s management systems are performing as intended and producing the desired business outcomes efficiently. We specialize in the management system requirements in the Oil and Gas industry. A management system is the framework of policies, processes and procedures used by an organization to ensure that it can fulfill all the tasks required to achieve its objectives. They are often required to be able to demonstrate compliance as part of industry codes and regulations. Governance to prioritize goals and objectives. Organized way for management to understand their requirements and manage their risk and compliance areas. Reduce risks of fines and increased regulatory oversight. Efficient decision making and continuous improvement process associated with multiple complex and overlapping regulatory requirements. The network alliance of professionals at Entity Consulting Inc. can help you build a simple and successful Management System structure to meet the custom needs of your organization. We use a pragmatic approach that is also scalable and customizable for smaller and medium sized companies. We use an integrated build approach to produce a single Management System that reduces, overlap, bureaucracy, and compliance risk. Often, organizations have multiple parallel management systems that make them inefficient and confusing to operate and keep up to date. With the Entity Consulting Inc. approach, we can integrate Management System requirements from multiple areas including Quality, Health & Safety, Environment, Integrity, Security, Emergency, and Asset Management. Many Management systems fail to meet their core objectives or provide real value because they are confusing, bureaucratic, and hence get put on the shelf and go stale. Using the Entity Consulting Inc. approach, we will support your implementation to ensure that the Management System and governance is efficiently embedded as part of normal operations and continuous improvement processes to meet the specific needs of your organization. Entity Consulting Inc. is an independent consulting firm that includes a network alliance of professionals that are experienced in the Energy and Utilities sectors. We specialize on advising on high-level strategy, management and implementations of key business improvement areas.